GRUNGECAKE shares the second ‘Person of the Month’, Evan Josloff, from our new monthly series with Lomography. GRUNGECAKE shares the second 'Person of the Month', Evan Josloff, from our new monthly series with Lomography. Ever so often, we are blessed to come across someone who is genuine. When you meet someone who will be your friend for your life, they are the kind of people who are worried about things that aren’t topical such as your well-being, your diet, your soul and your mind. Authentic is what they are, vice versa. By happenstance, I met Evan Josloff through a former Los Angeles-based GRUNGECAKE contributor named Ny Wesson. She called me to tell me about his skill level. It was the first and [probably the last] time she bothered to call about anyone. She knows my taste, and me, very well, so she does not bother me with foolishness. My memory doesn’t help, but I know I was with TRPL BLK on the evening we met in-person. I invited him to Dungeon Beach, a recording studio that my friend owns. As it is with all of my friends in adulthood, we hit it off. Since that day, we have celebrated birthdays together. He invited out to Agenda in Long Beach to help him bring awareness to the launch of his collection. Freddie Gibbs, MADSTEEZ, and many others stopped by our setup. We also connected with Azizi Gibson, Thurz, and others when in Los Angeles. Soon after, Bloomingdales, Kitson LA (before it became Kitross LA) picked up Josloff’s collection. For a long time, I had a two-dimensional scope of the fashion world. I used to design tech packs for a sports brand, and I am a consumer. Attending a trade show for the first time gave me a different perspective. At Agenda, designers connect with buyers and retailers on the spot. Also, the designers get to see reactions and get feedback from potential customers, face-to-face. Nothing beats the human-to-human experience. During that same trip, we went to REVOLT to drop off gear for the television hosts. The network was super new. And five years later, here we are. Has it been that long? I guess it has. I’ve checked the calendar more than once. The more time we spend together, the more you will see that I am not one to count unless I have to. Time has a way of imprisoning you. Without further ado, meet the high-skilled fashion designer, who is well-dressed and successful, and one of New York City’s best-kept secrets, Evan Josloff! A pair of joggers he designed made it to a New Yorker Magazine cover for crying out loud! How long have you been in the business of fashion and retail? How long have you been creating lifestyle brands? How many lines do you own? I actually started my career in retail clothing straight out of college, thirty years ago. Macy’s recruited on campus and had this insane 6-month training program for their department managers. The program was excellent. However, I wouldn’t exactly say that my fashion game began then. Funny story on that is when I completed the program, I got assigned to manage the Girl’s department. As in little girl’s. I thought it was nuts. I couldn’t be any further from knowing that market. There, I was, straight out of school, running around the sales floor with my employee purchased discounted suits, always 5 o’clock shadow, maintaining my respectable dedicated party lifestyle, and none of my own kids, nor any nieces or nephews. I came to learn all about what drives the business, which at the time was Guess, Esprit, Genera and New Kids on the Block. The company strategy was about forcing the merchants to rely very heavily on analysis to be successful. Turned out to be instrumental in my career. I learned a ton about managing and buying and realized I loved being a merchant. You could see how the designers of the companies would cringe since the sales directors would direct the designers to give us what we were asking for. We were an important account. The designer’s perspective was, “we designed an entire line,” how is it that these guys only want to “buy off the menu.” We knew back then that creating “smart” exclusives on what I’d call “franchise styles,” provided a major advantage over our competitors. That was when I started merchandising and designing from an analytical perspective. Then the most substantial influence that got me to where I am today was launching the CCS clothing line. Under the guidance of two of my most influential mentors in the business, Mark Miller and Alex Ng, our merch team built a highly disruptive private label business. Executing that involved product development and factory trips between Tokyo, Hong Kong and China. That was my education into building apparel. Where did you grow up? Does the area influence your expertise? I always preface my answer with “born in Queens and family from Queens.” However, I grew up in the sticks outside off Baltimore. Not much influence from there, except that it motivated me to move to a cosmopolitan city. What’re the most challenging things about being in the fashion industry? What would you change about it? First off, I think there are some common industry challenges, and then more specific challenges based on each company’s strengths and weaknesses. Being underfunded is among the biggest, if not the biggest and most common challenge. Particularly, when the business is predominantly a wholesale business, you’re highly vulnerable to the challenges your accounts face. We were underfunded at the start, and even though we had a detailed cash flow plan, and an advance lending company, we did not have enough cash reserve to cover when we were paid very late, or short paid some of our larger accounts. That hurt us tremendously. I.e. You can help mitigate that risk by how much direct to consumer business you can do, but then you must have the funds to finance the inventory that takes longer to sell through. Then, specifically to our business, we’ve needed stronger brand awareness. Not saying we have the most perfect designs, but we did not, and are still not yet utilizing our efforts enough to effectively get our message out. Our plan is to bring on a strong cultural personality, who has a genuine passion for fashion or at least is interested in getting in the clothing game. Under your apprenticeship, who were your favourite designers? That’s one of my favourite questions because I genuinely love sharing knowledge and mentoring. When I think of favourites, among the things that resonate with me most in a designer or anyone that I bring on, is character. I get so much energy from the young people who work with me, in any of the positions they hold. It’s about them being honest with themselves about their effort, appreciating what they have and the opportunity and of course are so passionate about what they’re doing. That said, combined with their abilities, I’d say three of the many designers that stood out for different reasons were: Sindhu Sridhar, Carolina Arboleda, Kathryn McCarthy. I don’t feel comfortable with “special.” But what I think attributes to me having a different perspective is partly due to me being about 100 yrs old as I always joke. I feel like this spirited old guy, who’s following his passion to design, amongst a sea of young people. Somehow that blend generates an overall relevant, but different style. Do you listen to music when you’re working? Which musical genres or artists do you play often? Definitely! I love all kinds of music, Old School Hip-Hop, Jazz, Blues, Funk, Soul, Bossanova, Tribe Called Quest, Lauryn Hill, Biggie, Nas, JayZ, Mos Def, Childish Gambino, Bowie, Prince, Miles Davis, Getz… just to name a molecule. Tell me about your two current lines/brands. The designs are based on premium fabrics and trim details that are meant to be worn as a casual look. Picture among the most common looks from us is putting together one of our plaid stretch suiting fabric “flood” pants with classic terry crewneck, one of our fedora’s and completed wearing a pair of Adidas Originals or trainers. Status NY is the other active brand which we launched in November of last year for young men and women. It has a much more youthful street look, designed to be super casual, but bold. The main focus of the line although we’re expanding it, is fleece tops and bottoms, beanies and fedoras. It’s not only a different aesthetic and meant for a different customer, but it’s also a completely different business model than it is for New Standard. We’re very excited about it, because it’s much more manageable and the styles being more, work better on social media than some of the more sophisticated items in New Standard. Were you part of any other brands in the past? What was your role? Yes, the apparel private label line we launched while at CCS was my program. I was involved in every aspect of that business. It was a blast too. We were selling jeans in every colour/wash, fit, design. Then expanded the line into fun reversible headphone jackets, headphone hoodies, backpacks, you name it. Additionally, since I started my company, Next Level Programs, I’ve had multiple consulting gigs for various brands and am currently involved with some of them now. What is your best accomplishment to date? I’m very proud of the New Standard Edition line. Being in the business as long as I’ve been, I can honestly say, I appreciate the reaction from people I respect in the industry and from outside that love what we’re doing. Also, it was tremendous when we were mentioned on GQ.com, and a few denim-focused blogs for some of our work. What do you like and dislike about working for yourself? I am so grateful that I’m able to spend my time focusing on what I’m so passionate about. The feeling when you’re creating new designs or styling looks never gets old to me. I love it. I also greatly appreciate being in control of my own situation vs working for another company. Overall the years in retail, there were times, especially in the few years before starting my own company, where it would be more challenging to ride out a plan on a flawed strategy, or coddling a manager’s ego than it was to do the work. What I dislike about working for myself, is that I’m constantly rolling with a guilt mentality. On some heavy schizz, often times I’m not able to completely enjoy the moments when I’m not working because I’m thinking I could be doing more during that time. That feeling is compounded because I am so indebted in various ways, to so many people I love, who have helped enable me to do what I do. I’m working on that ish of finding balance and living in the moment. 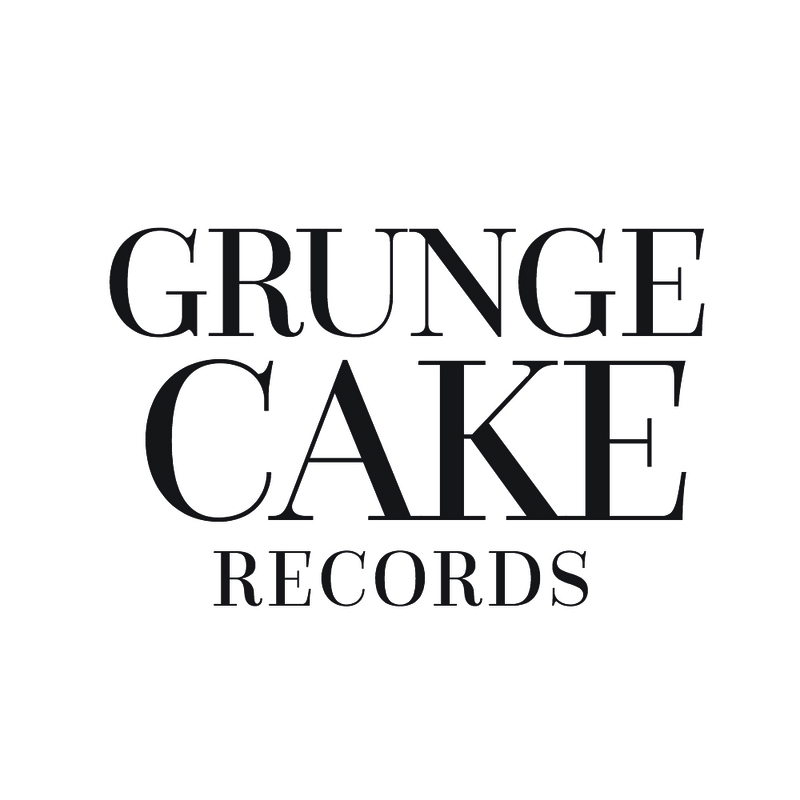 How/when did you find out about GRUNGECAKE? What does it mean to you? I was in LA when I just launched the brand and was prepping for my first regional tradeshow. My enthusiasm was over the top, to say the least. I connected with the employee who was printing my materials for the show. She then linked me with the founder of GRUNGECAKE back in NYC. Funny story that reflects what I think is so great about GRUNGECAKE. The first time I spoke with Richardine, the Founder, she was so fired up to tell me about this music artist from Detroit, TRPL BLK. He was in town that night to do a podcast interview at this recording studio in “Brooknam” called, Dungeon Beach. She suggested I come to the studio to get to know him and see if it was a fit to lace him with gear. Her energy was incredible. She got me so hyped over the phone. Our line was brand new and I was so pumped to meet this dude and possibly get some exposure for the brand. As soon as I got off the phone, my wife was like who/what was that. I said “TRPL BLK’s in town” TRPL BLK’s in town.” I’m headed to Brooklyn to meet up with him. My wife pulled him up online and played some of his songs. Because of GRUNGECAKE’s content and Richardine’s enthusiasm to meet this guy, I was def gonna meet up. Well, to say his lyrics are a bit hard would be an understatement. This sound made R Kelly sound Disney. So my lady’s like, “and you’re going out to Brooklyn to talk to this guy about the brand and possibly have him represent. I said, okay, maybe I just rap out a bit tonight. I had told Richardine I was going, so I was going. Turned out to be one of those silly super late nights hanging with him and the crew at the studio. Talked for hours. This dude was a very well-spoken charismatic mofo. Not what I expected based on the content and language in his lyrics. We’d hung out several times after that until our schedules have made it difficult to stay in contact. My point about all that is that to me it illustrates why I respect and appreciate GRUNGECAKE. They clearly have tremendous genuine passion, honesty and confidence that comes through in their insightful articles about new artists. What do you think about Lomography’s cameras? Anything that you like, in particular? Honestly, I’m not the most talented person around a camera. In fact, my focus in taking pictures is mainly around my passion outside of fashion, and that’s food. I take rough pics when I’m fired up about a plate of food I’m about to dive into. That said though, I love what Lomography is up to and the fact that it’s coming back in a big way. I have an emotional attachment, like a comforting effect, in seeing the instant pics because when I was growing up, instant cameras, in general, were such a cool thing to me and my friends. In fact, I still have a few pics from some of those cameras. On a more global tip, just seeing some of the raw, more organic images, that the cameras produce is a rare and much appreciated treat in our digital world. The pics have a warm feeling to them and just the cameras themselves are pieces of art. My favourites are the Wide Lens and Square Glass Combo in the Pigalle Edition.